The joys and trials of a wedding day is something that most of us will go through at some point in our lives; it can be expensive and it can be stressful but it also creates memories which should last forever. 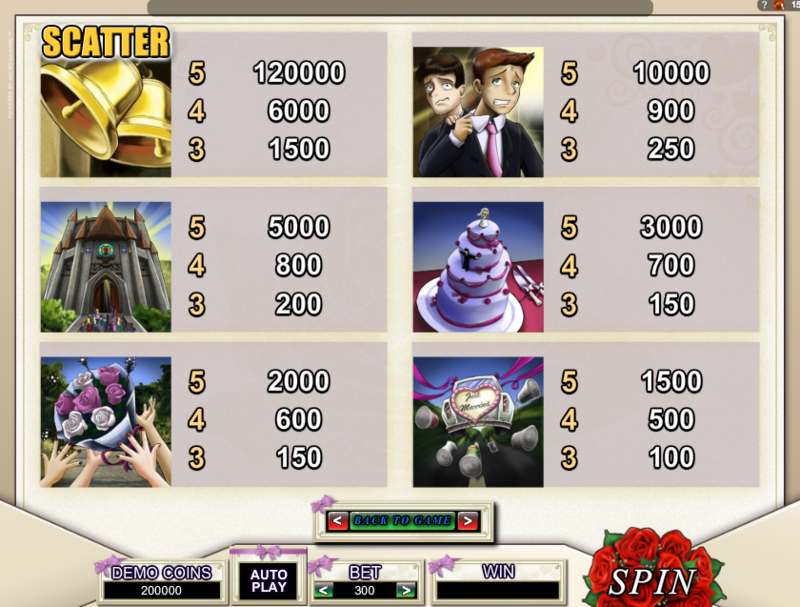 Microgaming have now come up with a game which aims to include all the elements of a wedding day into a slot machine; the ‘Bridezilla’ title might suggest that there’s a certain theme running through this game but she only really shows her true colours during the bonus game. Microgaming uses the standard playing cards for this five reel game’s low value symbols and a range of wedding-related ones for the greater values. We have a departing wedding car, a tiered cake, the bride’s bouquet, the church, a nervous looking groom and a pair of bells. The bells are the scatter symbols while the wild is the bride herself. The ‘Raging’ involves our little princess transforming into a green monster as the groom backs away in fright. 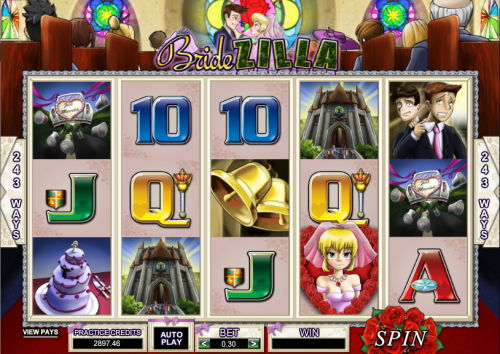 Bridezilla dispenses with the usual payline structure and uses Microgaming’s 243 Ways; this means that as long as symbols are in adjacent reels a winning combination can be formed. The payout percentages won’t change significantly but it’s a nice feature anyway. The graphics and animations are nice in this game, especially when the bride is involved in a winning combo but the bonus game and the Bridezilla feature is where the real action is. On a side note there’s a great clang from the bell when you land a scatter symbol along with a range of other wedding sound effects.